Now this is really very impressive. 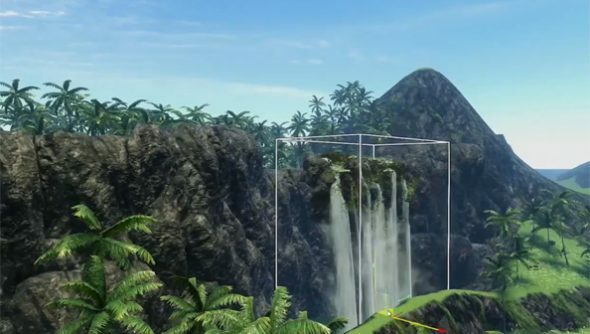 We’re already well aware that Far Cry 3 is the year’s best PC shooter, but had no idea it was also ready to lay its claim to the Best Tropical Nightmare Enabler Award 2012. Just take a look at the trailer below, and set jaws to drop. We’ll be able to randomly generate entirely new worlds, before tweaking the results to our liking with landscaping tools like we’re Bethesda or something. “We now have a wide variety of objects available to fill your map,” says Ubisoft Montreal level design director Mark Thompson. Maps can be played in single player sandbox mode, and shared for free over this whizzing invisible information network we all share. They’ll be rated and subsequently tweaked, with the best ranked at Gold Tier status alongside official Ubisoft content. My only worry is that some of us will fall in too deep. I bet you’re sold already, aren’t you? Remember: insanity is placing the same waterfall over and over and expecting different results.